Israeli Prime Minister Benjamin Netanyahu said he told the French foreign minister that Paris's support of a UNESCO resolution on Jerusalem cast doubt on the impartiality of a peace initiative it is promoting. "I told him that the scandalous resolution accepted at UNESCO with France's support, that does not recognise the bond of thousands of years between the Jewish people and the Temple Mount, casts a shadow over the impartiality of the entire forum France is trying to convene," Netanyahu told the weekly cabinet meeting after his talks with Jean-Marc Ayrault. Netanyahu was referring to a resolution adopted last month by the Paris-based UN cultural body on the flashpoint Al-Aqsa mosque compound in Jerusalem, which made no reference to the fact it is also revered by Jews as the Temple Mount and is the most sacred site in Judaism. Ayrault's visit to Jerusalem and Ramallah, where he will be meeting Palestinian president Mahmud Abbas later in the day, is in preparation for the May 30 international ministerial meeting to try to revive peace talks that have been frozen since a US-brokered initiative collapsed in April 2014. "I told him that the only way to advance true peace between us and the Palestinians is through direct talks, without preconditions," he said of his meeting with Ayrault. "Any other attempt just distances peace and gives Palestinians a means of evading dealing with the root of the conflict, which is not recognising the State of Israel," he said. "They're simply avoiding negotiating with us," Netanyahu said of the Palestinians. (Reuters) - Tanzania has removed more than 10,000 "ghost workers" from its public sector payroll after a nationwide audit found their fraud cost the government over $2 million a month, the prime minister's office has said. Government officials say the payroll audit is continuing and more non-existent workers are expected to be found. "We will identify those behind this payroll fraud and take them to court ... the fight against corruption is top priority for the government," Prime Minister Kassim Majaliwa was quoted as saying in the statement issued late on Sunday. Purging the "ghost workers" from government payrolls would save more than 4.5 billion shillings ($2.06 million) a month, the statement said. Reformist President John Magufuli ordered the national audit in March as part of a wider corruption crackdown. Businesses have long said corruption and government inefficiency were major obstacles to investing in Tanzania, which ranked 117 out of 168 countries in Transparency International's 2015 index of least corrupt countries. No.1 is deemed the least corrupt. Elected last October, Magufuli has already dismissed several senior officials, including the head of the government's anti-graft body, the country's top tax chief, a senior rail official and the head of the country's port authority. Tanzania spends over $260 million per month to pay salaries of its civil servants, but the government believes the public wage bill is bloated by thousands of phantom staff. The country has over 550,000 civil servants in central and local government authorities. OPEC said the global oil market is oversupplied and signaled the glut may increase this year, as surging output from its members makes up for losses from other countries whose production has been hit by a price fall. Supply from the Organization of the Petroleum Exporting Countries (OPEC) is climbing after sanctions on Iran were lifted and an initiative with Russia and other non-members to tackle a supply glut by freezing output failed last month. OPEC pumped 32.44 million barrels per day (bpd) in April, the group said in a monthly report citing secondary sources, up 188,000 bpd from March. This is the highest since at least 2008, according to a Reuters review of past OPEC reports. "Fundamentally, oversupply still persists," OPEC said in the report published on Friday. "Oil output remains high." A persistent surplus could weigh on prices, which despite a recovery to $47 a barrel from a 12-year low of $27.10 in January, are less than half their level in mid-2014. OPEC's 2014 strategy shift to defend market share against higher-cost rival output helped deepen the decline. The price drop is hitting non-OPEC supply as companies have delayed or canceled projects around the world. OPEC forecasts supply from outside producers will decline by 740,000 bpd in 2016 led by the United States, little changed from last month. OPEC cited factors that could lead to a bigger supply drop, such as the impact of wildfires in Canada that have cut production. The evidence of falling non-OPEC supply should lead to a stronger market next year, it said. "Outside the U.S., there have been consistent signs of declines in non-OPEC production, which should likely flip the global oil market into a net deficit in 2017." But OPEC supply has been climbing since the 2014 policy shift led by top two producers Saudi Arabia and Iraq. The return in December 2015 of Indonesia as an OPEC member has also increased total output. So far this year, Iran is driving the growth. Tehran had refused to join the supply freeze initiative and the deal fell apart on April 17 in Doha after Saudi Arabia insisted Iran took part. OPEC left its forecast that world oil demand will rise by 1.20 million bpd this year unchanged. It sees demand for OPEC crude averaging 31.49 million bpd in 2016, broadly unchanged from last month's forecast. The report points to a 950,000-bpd surplus on average in 2016 if OPEC keeps pumping at April's rate, up from 790,000 bpd implied in last month's report. The Florida man who shot and killed black teenager Trayvon Martin in an incident that triggered nationwide civil rights protests will auction the gun he used on Thursday and spend some of the proceeds to challenge gun control policies, the auction website said. The U.S. Department of Justice recently returned to George Zimmerman the Kel Tec 9mm pistol that he had used to kill the unarmed Martin on Feb. 26, 2012, according to Gunbroker.com, the website where the weapon is being sold. 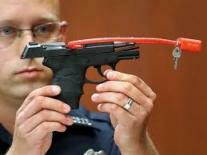 Zimmerman described the gun as "a piece of American history," according to the site. The one-day auction is scheduled to begin at 11 a.m. EST (1500 GMT) on Thursday, with bidding starting at $5,000. The Trayvon Martin Foundation "has no comment on the actions of that person that murdered Trayvon," Martin's father, Tracy Martin, said in a statement. Zimmerman, who was a neighborhood watch volunteer at the time, said the shooting was in self-defense. Martin's family said the teenager was simply passing through the residential area on his way home from a convenience store. Zimmerman was acquitted of second-degree murder and manslaughter charges in the incident that sparked civil rights rallies and shone a spotlight on Florida's controversial "stand your ground" law. President Barack Obama said after Zimmerman's acquittal that Martin "could have been me, 35 years ago" and urged Americans to understand the pain African Americans felt over the case. "George Zimmerman" quickly became the top trending term on Twitter in the United States, with many users on the social media site expressing shock and revulsion. "The only people worse than George Zimmerman are the people who bid on that gun," tweeted the writer, Lyz Lenz. National Review columnist Charles C. W. Cooke said Zimmerman "may have acted legally, but the man is a sociopath." On the auction website, Zimmerman said he planned to use part of the proceeds to fight Black Lives Matter, a rights movement that grew out of the incident, as well as to counter "violence against law enforcement officers." Proceeds would also go toward fighting Democratic presidential hopeful Hillary Clinton's "anti-firearm rhetoric," he said. "I am honored and humbled to announce the sale of an American firearm icon. The firearm for sale is the firearm that was used to defend my life and end the brutal attack from Trayvon Martin," he said on the site. The number from the Martin case is written on the pistol in silver permanent marker and "many have expressed interest in owning and displaying the firearm," he said in the description. In a phone interview with a local broadcaster on Wednesday, Zimmerman brushed off those critical of the auction. "They're not going to be bidding on it, so I couldn't care less about them," he told Orlando TV station WOFL. Zimmerman, who has had brushes with law enforcement since his acquittal, was the target of an attempted murder by Matthew Apperson in a Florida road dispute in May 2015, according to prosecutors. He told WOFL that he had received death threats while in hiding after killing Martin, and that he had received more threats to his life since the gun sale was announced. "What I've decided to do is not cower," he said. "I'm a free American. And I can do what I like with my possessions"
The USDA just released a report on the state of America’s honey bees, and the news is not that sweet. The USDA just released a report on the state of America’s honey bees, and As this Reuters graphic shows, beekeepers reported a loss of 42.1 percent of their colonies in 2014/2015. Summer losses were 27.4 percent, and for the first time on record exceeded the winter rate, which was 23.1 percent. More than two-thirds of the 6,128 beekeepers surveyed reported winter loss rates above the 18.7 percent rate deemed the tipping point for economic sustainability. Bees impact 50-80 percent of the global food supply, so the issue extends beyond healthy sweeteners. A Cornell University study reported that insect pollinators contribute $29 billion to the U.S. farm economy, and the country has an estimated 2.74 million managed bee colonies which pollinate one-third of the country’s fruit and vegetable crops. Indeed, the situation is serious enough to attract Washington’s attention: A subcommittee of the House Committee on Agriculture convened this week for a public hearing on pollinator health. Guided missile destroyer the USS William P. Lawrence traveled within 12 nautical miles of Chinese-occupied Fiery Cross Reef, U.S. Defense Department spokesman, Bill Urban said. The so-called freedom of navigation operation was undertaken to "challenge excessive maritime claims" by China, Taiwan, and Vietnam which were seeking to restrict navigation rights in the South China Sea, Urban said. "These excessive maritime claims are inconsistent with international law as reflected in the Law of the Sea Convention in that they purport to restrict the navigation rights that the United States and all states are entitled to exercise," Urban said in an emailed statement. China and the United States have traded accusations of militarizing the South China Sea as China undertakes large-scale land reclamations and construction on disputed features while the United States has increased its patrols and exercises. Facilities on Fiery Cross Reef include a 3,000-metre (10,000-foot) runway which the United States worries China will use it to press its extensive territorial claims at the expense of weaker rivals. 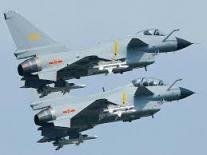 China's Defence Ministry said two fighter jets were scrambled and three warships shadowed the U.S. ship, telling it to leave. The U.S. patrol "again proves that China's construction of defensive facilities on the relevant reefs in the Nansha Islands is completely reasonable and totally necessary", it said, using China's name for the Spratly Islands where much of its reclamation work is taking place. A trial over Sumner Redstone's mental competence appeared to come to an abrupt end on Monday when a California judge threw out a lawsuit brought by the 92-year-old media mogul's former girlfriend, Manuela Herzer. “There is no good cause for further judicial involvement where the court has now heard directly from Redstone that he has lost trust in Herzer, does not want her in his life and instead wants his daughter Shari to look after him as necessary,” the judge wrote in a tentative ruling. Herzer, 52, contended that Redstone, the controlling shareholder of Viacom Inc (VIAB.O) and CBS Corp (CBS.N), was not mentally competent when he removed her as his designated healthcare agent last October. A trial to decide the matter started on Friday and had been set to run through May 16. The whistleblower behind the the Panama Papers broke their silence on Friday to explain in detail how the injustices of offshore tax havens drove them to be behind the biggest data leak in history. The source, whose identity remains a secret, denied being a spy. In what amounts to an 1,800-word manifesto days before David Cameron holds a global anti-corruption summit in London, the source singled out the Conservatives, saying they had been “shameless about concealing their own practices involving offshore companies”. Cameron was forced to disclose last month he held shares in Blairmore, his father’s offshore investment fund. More than 40 countries are due to attend the summit on Thursday. The source gave Süddeutsche Zeitung leaked documents from Mossack Fonsecca’s internal database in real time instalments. The papers included details of the beneficial owners of offshore companies, passport copies, and emails. The newspaper shared the material with the International Consortium of Investigative Journalists (ICIJ) in Washington. In one of the biggest collaborations in journalistic history, the ICIJ gave access to the data to 100 media organisations, in 83 countries, which spent a year investigating them. The source said they decided to act after understanding the “scale of the injustices” the documents described. Mossack Fonseca denies wrongdoing and says its operations in Panama and elsewhere are “beyond reproach”. Intriguingly, the source said they originally offered the documents to “several major media outlets”. Editors reviewed the Panama Papers but in the end “chose not to cover them”, they alleged. It is unclear which media organisations declined the material. The source was excoriating about the legal profession, which helped set up tens of thousands of Mossack Fonseca-run shell companies. More than half of the law firm’s offshore corporations were based in the British Virgin Islands, a UK-administered tax haven. Tens of thousands of Holocaust survivors are spending the final years of their lives in financial hardship while waiting for governments across Europe to compensate them for property stolen during the Nazi era. Despite a declaration by 47 countries seven years ago to ensure restitution for the theft of Jewish property during the Holocaust, many of the 500,000 survivors still alive are yet to be compensated, according to the World Jewish Restitution Organisation (WJRO). Timed to coincide with Holocaust Remembrance Day on Thursday, the WJRO has organised a social media campaign under the hashtag #HolocaustJustice to put pressure on those countries to act on their 2009 commitment. Among those backing the campaign are former UK foreign secretary David Miliband, scientist Robert Winston, former US senator Joe Lieberman and West Wing actor Joshua Malina. Launching the campaign, survivor Jehuda Evron said he fought for 20 years for the return of property taken by the Nazis that belonged to his wife’s family. Thousands of works of art, worth billions of dollars, were looted from Jewish owners in the run-up to and during the Holocaust. Many have been recovered and returned. But the theft and confiscation of Jewish property extended to buildings, furniture, jewellery, clothing, books, cash and other valuables and assets. However, according to the WJRO, many of the signatories have no laws to provide restitution or compensation, and others have laws which may be exclusionary or whose processes are slow or unjust. The 47 signatories to the Terezin Declaration were Albania, Argentina, Australia, Austria, Belarus, Belgium, Bosnia and Herzegovina, Brazil, Bulgaria, Canada, Croatia, Cyprus, Czech Republic, Denmark, Estonia, Finland, France, , Germany, Greece, Hungary, Ireland, Israel, Italy, Latvia, Lithuania, Luxembourg, Macedonia, Malta, Moldova, Montenegro, the Netherlands, Norway, Poland, Portugal, Romania, Russia, Serbia, Slovakia, Slovenia, Spain, Sweden, Switzerland, Turkey, Ukraine, United Kingdom, United States and Uruguay. The vast U.S. services sector expanded in April as new orders and employment accelerated, bolstering views that economic growth would rebound after almost stalling in the first quarter. The growth outlook was, however, dimmed by other data on Wednesday showing private employers hired the fewest number of workers in three years in April. The Institute for Supply Management said its nonmanufacturing index rose 1.2 percentage points to a reading of 55.7 in April. A reading above 50 indicates expansion in the services sector, which accounts for more than two-thirds of the U.S. economy. Services industry activity was last month buoyed by a 3.2 percentage point surge in new orders. A gauge of services sector employment rose to 53.0 last month from a reading of 50.3 in March. That strong increase should offset concerns about the labor market, which had been stoked by the ADP National Employment Report showing private payrolls increased 156,000 last month, the smallest gain since April 2013, after rising 194,000 in March. The ADP report, which is jointly developed with Moody's Analytics, was published ahead of the government's more comprehensive employment report for April due on Friday. According to a Reuters survey of economists, nonfarm payrolls likely increased by 202,000 jobs in April after rising 215,000 in March. The unemployment rate is forecast holding steady at 5.0 percent.